A dormitory named after Heydar Aliyev has been inaugurated in an educational complex owned by Abdullah Gul University in the Turkish city of Kayseri. The dormitory was opened through collaboration of the Heydar Aliyev Foundation and Abdullah Gul Foundation. 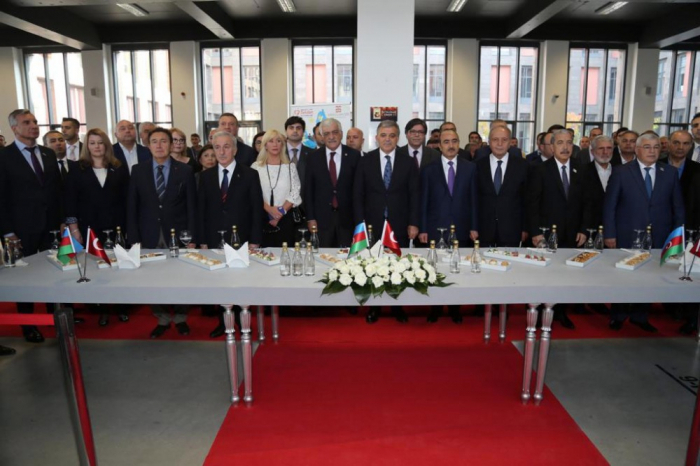 Participants in the event included the Azerbaijani President`s Assistant for Public and Political Affairs-department head Ali Hasanov, Turkey`s 11th President Abdullah Gul, Kayseri governor Suleyman Kamci, Azerbaijani, Turkish and Russian parliamentarians, professors and teachers of Abdullah Gul University, NGO and media representatives.